Spotlight: Tom & Elizabeth - Inspired Paper Co.
A rustic-themed wedding is still one of the biggest and most popular trends this season. When we began working with Tom & Elizabeth, their venue was one of the biggest points for our inspiration. From the off-white linen papers to the wood grain textured folder, we incorporated rustic elements while still creating a classic and elegant invitation! We asked them a few questions about their experience working with Inspired Paper Co., check out what they had to say below! 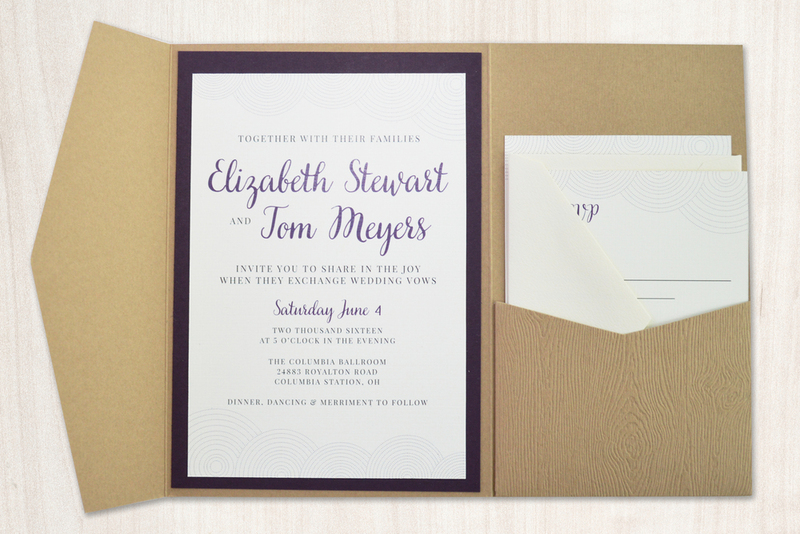 Inspired Paper Co: When considering wedding invitations, what was most important to you? 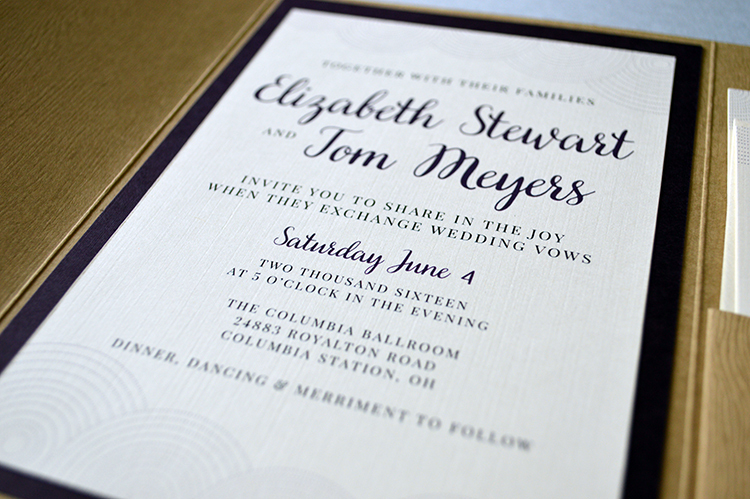 Elizabeth: I really wanted the invitations to be true to the overall feel of the wedding. All of the elements in our venue have a more refined-rustic finish, so I wanted the invitations to be a reflection of that-simple and polished, but with a rustic flavor. Inspired Paper Co: What is the theme or inspiration for your wedding? Elizabeth: Our wedding is in a converted barn, so everything has a rustic edge but without being TOO rustic. We really wanted a wedding that was elegant in it’s simplicity. 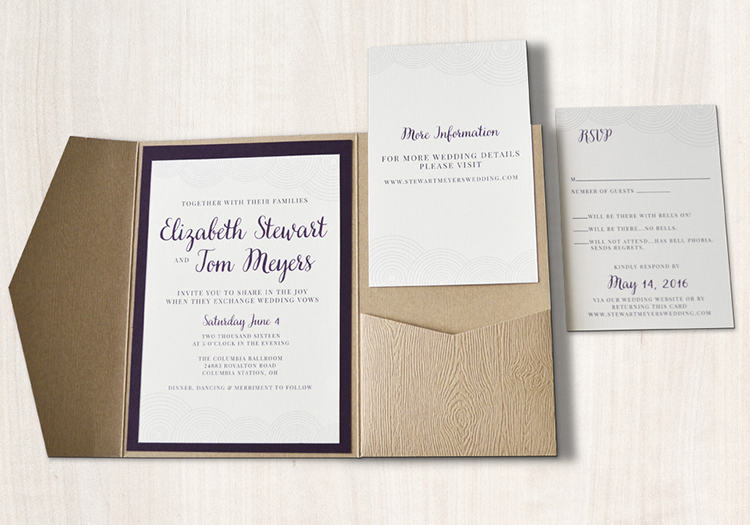 Inspired Paper Co: What is your favorite aspect of the invitations we created for you? Elizabeth: I love the wood grain pattern on the paper! The plum color was such a great complement to the ivory and kraft paper (and it perfectly matches the bridesmaid dresses!). Inspired Paper Co: How would you describe your overall experience working with Inspired Paper Co.? 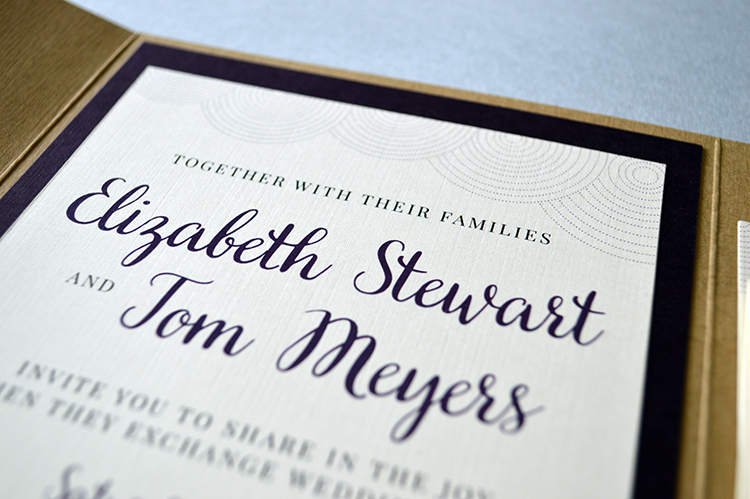 Elizabeth: It was so lovely to work with Inspired Paper Co.! Jamie and Ashlee were able to turn my (very) disjointed ideas into a beautiful invitation that fits so well with the theme of our wedding. I would highly recommend them to any of the other anxious brides out there-your invitations will be beautiful!